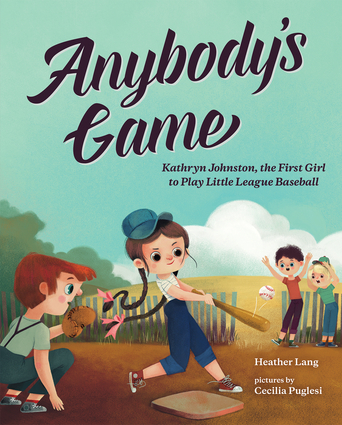 "In this picture book biography, Lang doesn't leave baseball lovers stranded on base as game-related terminology is sprinkled throughout. Puglesi's digital artwork adds depth to the text, showing strong emotions on the characters' faces and containing fun hidden gems, especially for Yankees fans (notice the magazines and posters). The text works nicely with the illustrations and would make for a good one-on-one read." —School Library Journal? Heather Lang is the author of several acclaimed titles including Queen of the Track and Swimming with Sharks. She lives with her husband and four children in Massachusetts. Cecilia Puglesi was born in Argentina. After receiving a Fulbright grant, she completed an MFA in computer arts at the School of Visual Arts in New York. She currently lives in Spain.